Dividers feature a special tab design that provides 40 percent more printing space for tab titles than traditional insertable tab dividers. 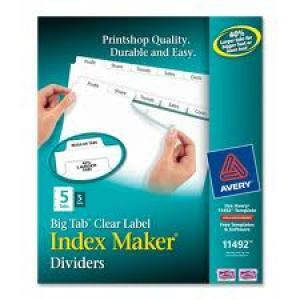 Dividers feature reinforced binding edges and three-hole punched design to make dividers ready for three-ring binders. Avery offers many easy-to-use templates for Microsoft Word and other popular software programs.